Do Hybrid Dogs Live as Long as Purebred Dogs? 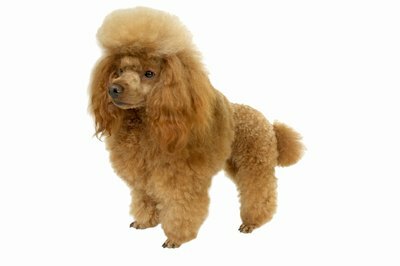 People mix all kinds of breeds with poodles to get a hybrid "oodle" dog. Breeders of hybrid dogs breed for the attractive features of two purebreds, but there's no guarantee as to which qualities the puppies will have. The world of the dog fancy has become a little complicated with the advent of all the "oodle" dogs: breeds other than poodles mixed with poodles. A hybrid is the product of two purebred dogs. Unlike mixed breeds, hybrid dogs are purposely bred to create one dog with the good qualities of two dogs. Most hybrids are the product of breeding a dog with a great temperament, such as a golden retriever, with the non-shedding quality of the poodle to create a "goldendoodle." For purposes of determining genetic propensity and health, a hybrid is considered the same as a purebred dog. According to Miami vet Dr. Patty Khuly, hybrid dogs are viewed in the same way purebreds are when it comes to genetics because they take on the heredity of two specific breeds rather than a hodgepodge of genes. Mixed breed dogs, sometimes called "mutts" or "natural dogs," are comprised of many dog breeds, most of which are unknown. They may have started out as a hybrid, but then the hybrid bred with another hybrid, which bred with still another hybrid until the genetic pool became a veritable mish-mash. Mixed breed dogs are not considered hybrids for purposes of determining genetic make-up and the propensity to contract certain diseases. The puppies of purebred dogs, however, can trace their ancestry back many generations and all the parents, grandparents and great-grandparents share the same genes that make them whatever breed they are. The American Kennel Club, the official registry of purebred dogs in America, recognizes 175 breeds of dog as of 2013. Hybrid dogs are not among them. Purebred dogs share the same set of genes; this is why they all look alike. But those same genes that cause them to all look alike can also cause trouble in dogs with the traits for certain diseases. Most purebred dogs have a susceptibility to some medical issue by varying degrees of number and severity. For example, Akitas are more prone to Addison's disease than some of the other breeds. Pomeranians have a susceptibility to tracheal collapse. This doesn't mean that these dogs will get those diseases, it means that if the parental bloodline carries the gene for these problems, puppies born in that lineage have a good chance of contracting the disease too. With some dogs the list of potential health issues is very long, but with others there may only be a few issues. Some of the issues may be quite mild, such as hypopigmentation where there is a lack of pigment in some small areas. Others can be severe, such as certain kinds of cancer. Since there is virtually no difference between a hybrid and a purebred dog for the purposes of determining health and longevity, the question becomes "Which is healthier, a mixed breed or a purebred?" While there is no hard evidence to suggest that either one is healthier, the majority of vets, vet techs, shelter workers and others in the dog service industry are of the opinion that mutts are healthier and live longer than purebred dogs. Well-bred dogs from very responsible breeders are the only exception to this rule. When a breeder learns, usually through trial and error, that one of her breeding dogs is carrying a genetic disease factor, she will stop breeding that line. Purebred dogs born in puppy mills, however, are not carefully bred to remove genetic problems. Mixed breeds don't carry enough of the genes of any particular purebred to have a propensity for a specific hereditary disease, making them the paws-down healthier of the two. Vetstreet: The Great Debate: Are Mutts Healthier Than Purebreds? Do Dogs See the TV the Same as Humans? What Can Be Used as a Natural Repellent to Quiet Barking Dogs? What Is the Difference Between Papered and Non-Papered in Purebred Dogs?